Just a quick note to say I’ll be at AussieCon 4 in Melbourne next weekend, where I’ll be speaking on a panel on Friday at 1:00pm about the role of the critic in the 21st century. Given the panel also features John Clute (who co-edited The Encyclopaedia of Science Fiction with Australia’s own Peter Nicholls), Bill Congreve of MirrorDanse Books and Cheryl Morgan it should be a fascinating session. 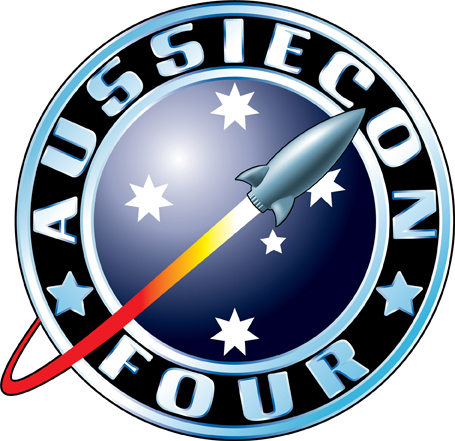 The full program is available on the AussieCon 4 website. AussieCon 4 will also see the announcement of the 2010 Hugo Awards. I had a piece in The Sydney Morning Herald and The Age this weekend about the six books on the Best Novel shortlist. It’s a bit cursory in places, simply because of the difficulties inherent in reviewing six books in 1200 words, and it doesn’t seem to be online yet, but I’ve made a copy available on this site for anyone who’s interested. ← Resuming Transmission . . . Were you? No! I wish you’d grabbed me and said hello. But isn’t the Con the most amazing thing? So many people, so much energy.